Following on from the last article, The Lion’s Gate & the Rose Cross, the peak of the Lion’s Gate flow on the 8th of August – the 8-8 double infinity – was indeed a ‘crossing point’ for the energies of this year, which symbolized beautifully in a photo I took on the 8th after posting the previous message and doing a meditation with the Rose Cross. 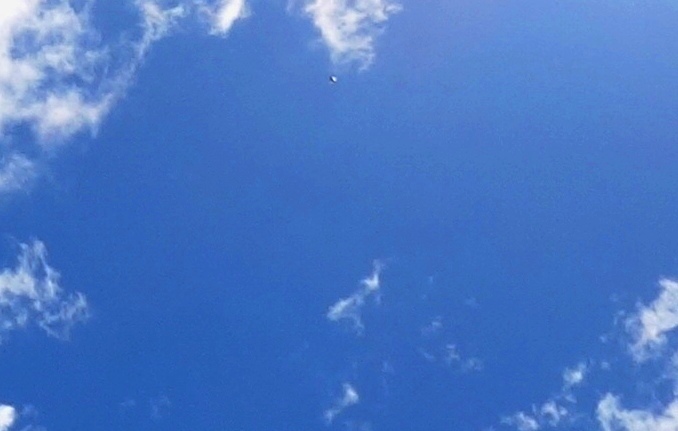 A big triangular Sirian ship began to outline in the clouds overhead on the afternoon of the 8th, which was also representing the pyramid network around the Earth being sent a stream of very high light – which in the photo, can be seen as a vertical ‘blue ray’ coming down through the pyramid. 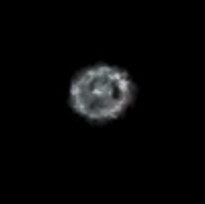 Sirian ship/pyramid and open portal, photo taken August 8, 2016. There are many energies dancing through this photo – friends have seen a butterfly, feline faces, a golden phoenix flying above, starships, a ballet dancer pirouetting. I feel the pirouetting dancer as an Angel spinning (blue ray/Archangel Michael energies), dancing the spin of the open portal/vortex sending the blue ray of truth, courage, protection and clarity to the Earth, held steady with the loving oversight of the leonine beings. 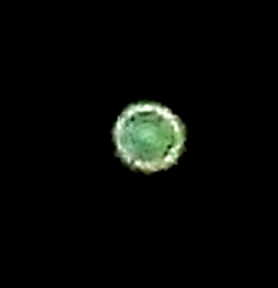 The following night, the energy alignment to Earth was symbolized by three ships, the central one orb-like in form, a healing jewel of emerald light with a touch of white and gold around the rim, with close soul family above and below, which I’ll speak of soon. 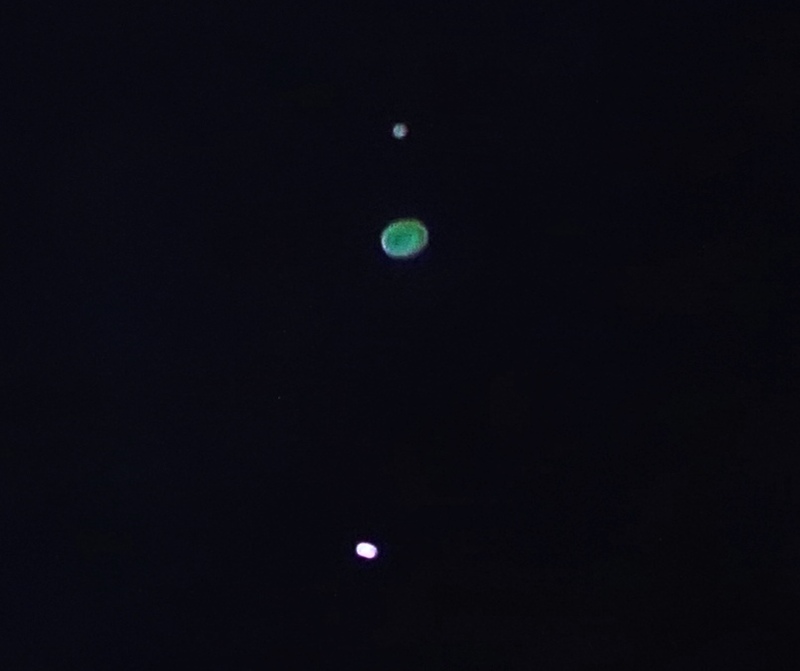 Trinity alignment, photo taken August 9th, 2016. The Sirian energies continued to build and stream, and the next day, August 10th, the clouds were full of feline faces, and something unlike any cloud-form I’ve seen before – a form that radiated white fire, a Tree of Life running with ‘white phoenix and feline’ energy Leonine and angelic energies are fused in this white flame Tree, and the energy of the white phoenix is particularly connected with the soul Im’Ma’Ra, known best on Earth by her Sirian soul aspect, Isis. 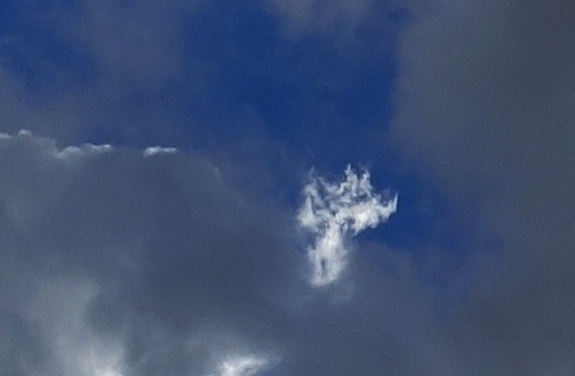 White Fire Tree of Life/Feline Phoenix in the clouds, photo taken August 10, 2015. The blue light of Archangel Michael and the white light of Archangel Gabriel have come to the fore since the 8-8, and I am reminded of the Sufi mystics’ teachings about Gabriel as dwelling beside the Tree at the end of the World, a tree with the whiteness of the Moon, and upon every leaf of that Tree are written the words, “What no eye has seen, and what no ear has heard, and what did not come into any human beings’ mind.” This is a deep truth of ‘ascension’ (immaculate conception or inception of the higher self/inner divine self into the cells, DNA, RNA, subtle ions and particles of our being, into full merge) for this process goes beyond the physical senses, yet imbues them, in a way that eludes the analytical ego-mind yet is known innately through the seat of the soul, the inner heart. Getting toward sunset on August 12th, a ship flew up from behind a bank of clouds (in the lower right area of the photo below). 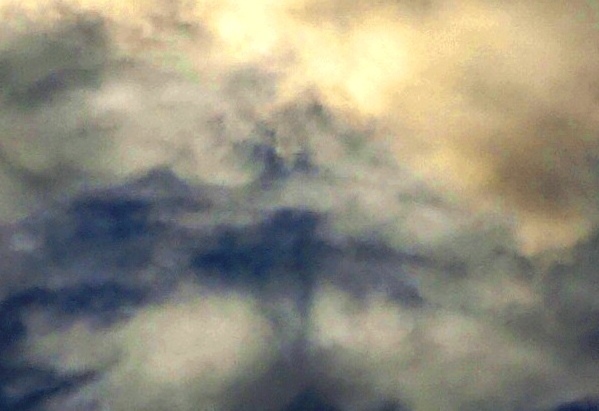 Ship pops up from behind clouds, photo taken August 12, 2016. 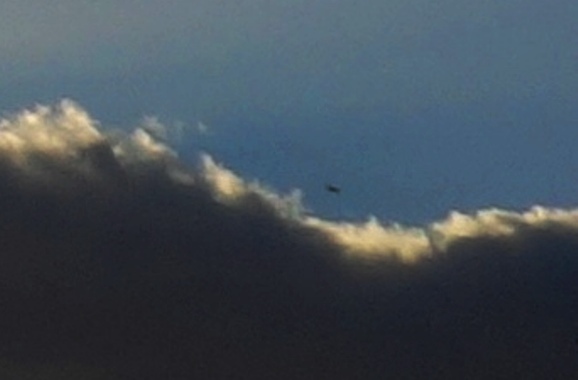 Enlargement, ship popping up from behind cloud bank, August 12, 2016. 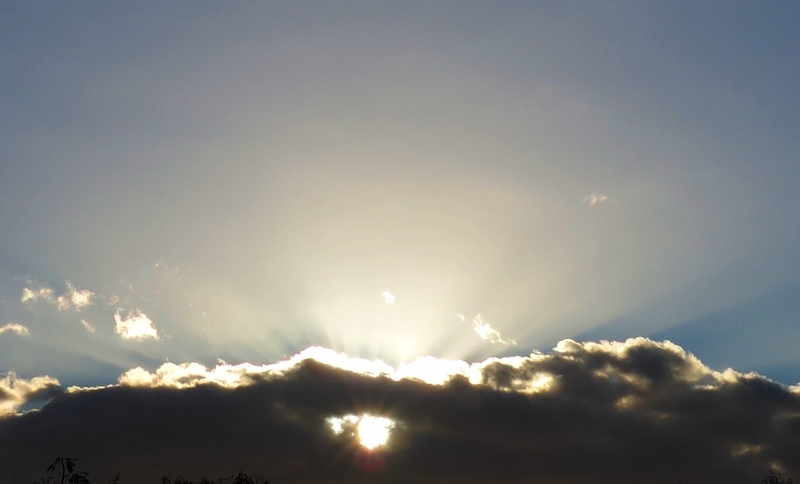 As the sun descended, it formed a beautiful ‘Eye of Horus/Eye of Ra’ through a porthole in the clouds…a message about ships currently travelling through the higher dimensional portal of the Sun. 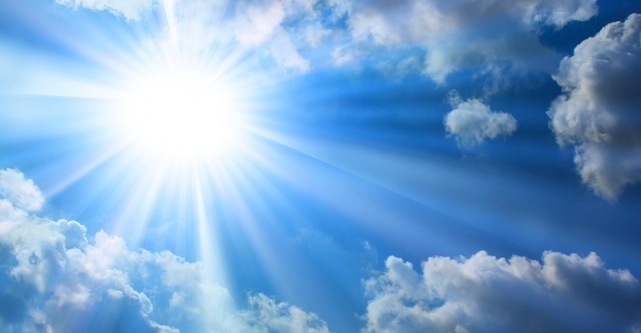 Keep lighting the Sun in your Heart, which is your crossing-point of Light, Love and Life, and see through that inner sun. Let the pure soul-seed within your being to flower fully and come to fruition. When we allow the seed within to blossom in total trust, letting the ‘heavy stuff’ that we’ve held onto – and which seeks to hold onto us – go into the Wave for healing, instead of gripping onto it like a worn-out old security blanket, the way is open inside us for what are often called miracles…but which is in truth the natural, unimpeded flow of providence through all Life in every layer, universe and dimension. 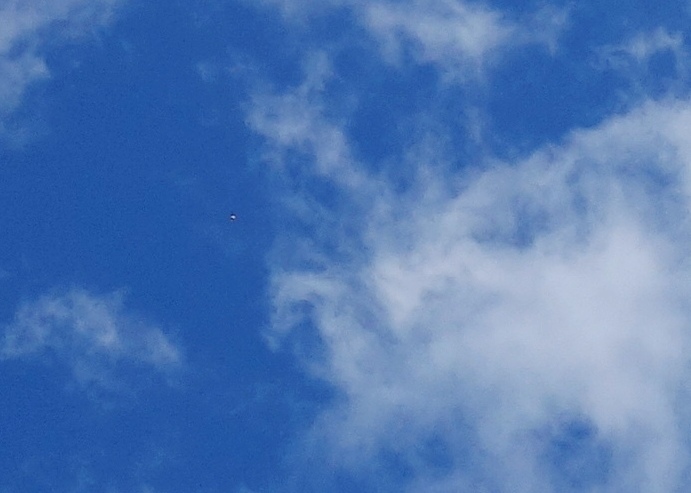 We’ll close this update with a few photos of the little ‘pod ship’ of my Twin Flame, Ashura, keeping close overhead on August 16th. 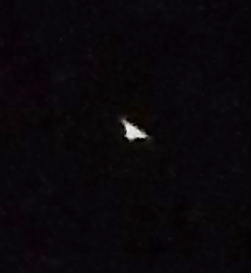 Ashura’s ‘pod ship’ overhead on August 16, 2016. Know that Love is all around you, embracing you in every moment, dear friends. ‘Unconditional Love’ really means having no expectations or demands, and also having no doubts. In that vibration, we set ourselves free to complete our convergence with divinity….which is simply remembering the Whole of who and what we are. 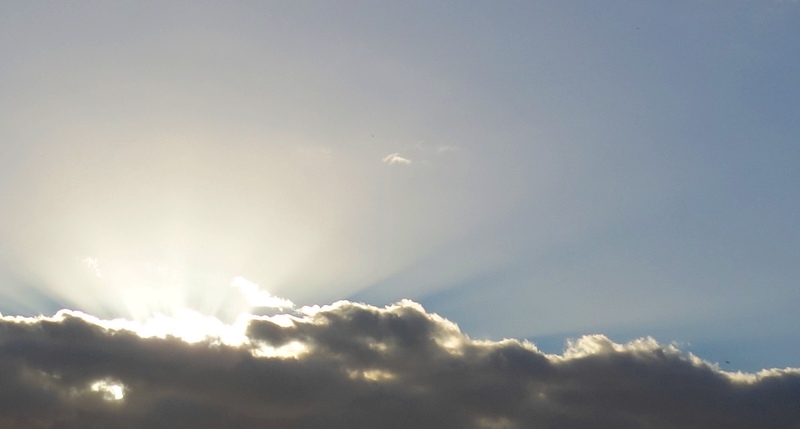 Today’s post is about ‘signs’ and direct manifestation – higher dimensional energies interfacing with third dimension, showing the underlying, overarching connectedness of all energies to our physical awareness. Whether those manifestations are flowing from our higher self, higher dimensional guides, star family or other Light beings, these ‘signs’ are showing how we create/co-create our ‘reality’, how we magnetize Source energy, according to the vibration, the frequency we are radiating (consciously and unconsciously). All levels of energies keep aligning, non-stop, according to our focus, manifesting what we call ‘synchronicities’, across dimensions. Synchronous ‘signs’ in 3D physicality can delight and reassure those on an awakening path, as they affirm the truth that all is connected – that no matter how it appears to limited human physical senses, material ‘reality’ is not cut off from subtler flows of life and love, but is part of a continuous weaving across stratas of form, light, energy, life. When you know your BEing as a conscious ‘hub’ of merging dimensions – when their constant interweaving becomes anchored as your reality, through unconditional love – the ‘veils’ between them dissolve, and you see/feel the energy flows not as ‘signs’ but simply as the way energy naturally flows and interweaves across dimensions, according to what we as a ‘hub’ are magnetizing. I’d like to share a very lovely personal example, from last week, of this flow and alignment, connected with one of the higher dimensional guides I have a daily ‘focus’ with, Archangel Michael. 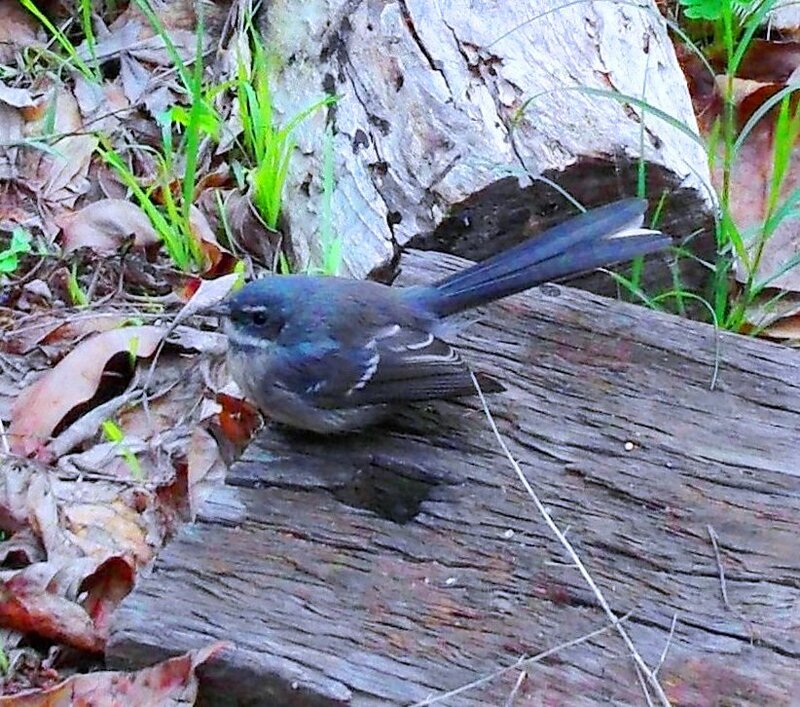 Since childhood, the presence of AA Michael appeared in a frequent recurring dream of running through a dark forest, where a bluebird would fly in front of me and lead me onto a path and out of the forest. I did not put the name ‘AA Michael’ to the bluebird as a young child; it wasn’t until much later that I felt the distinct ‘Essences’ of the higher energies around me, and understood ‘who’ and ‘what’ they are. Recently, I’ve seen AA Michael’s light as a deep blue, white-ringed orb in front of my 3D vision, in the room I’m writing to you from now. 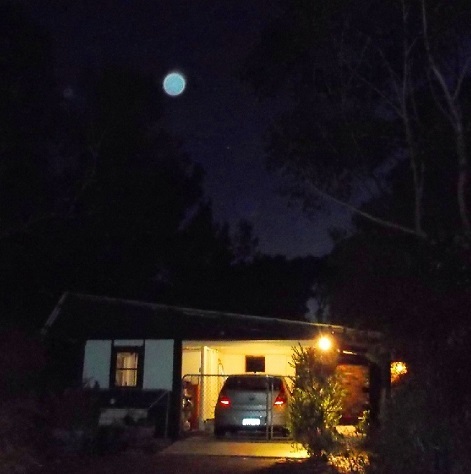 At this current house, his energy was first projected in orb form the night we moved here, as a large blue orb hovering over the carport. Photo taken January 25, 2014. 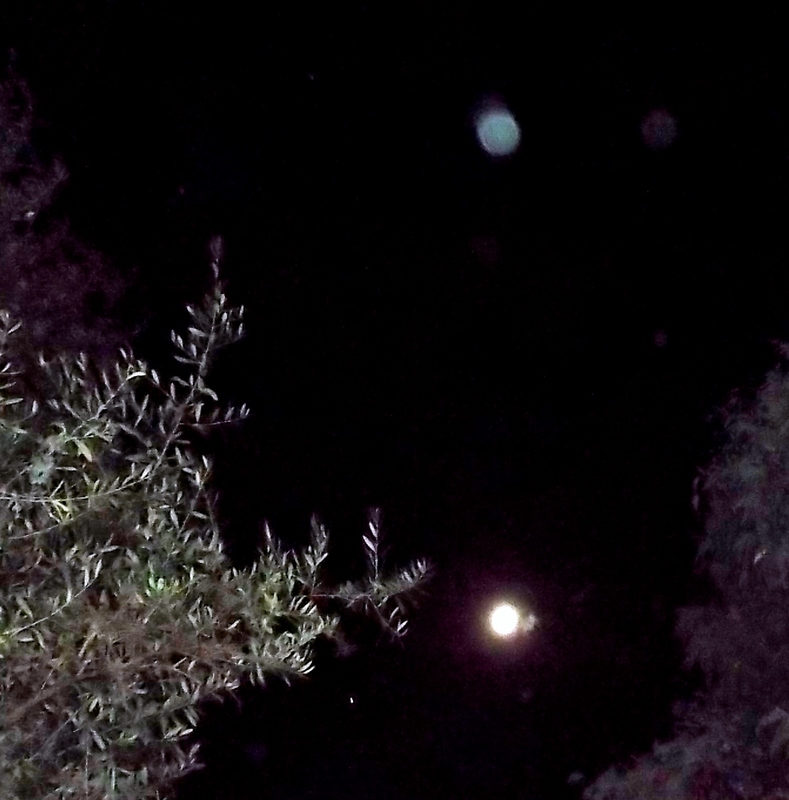 His orb representations have appeared many times – in the photo below, stationary above the moon. Photo taken February 11, 2014. 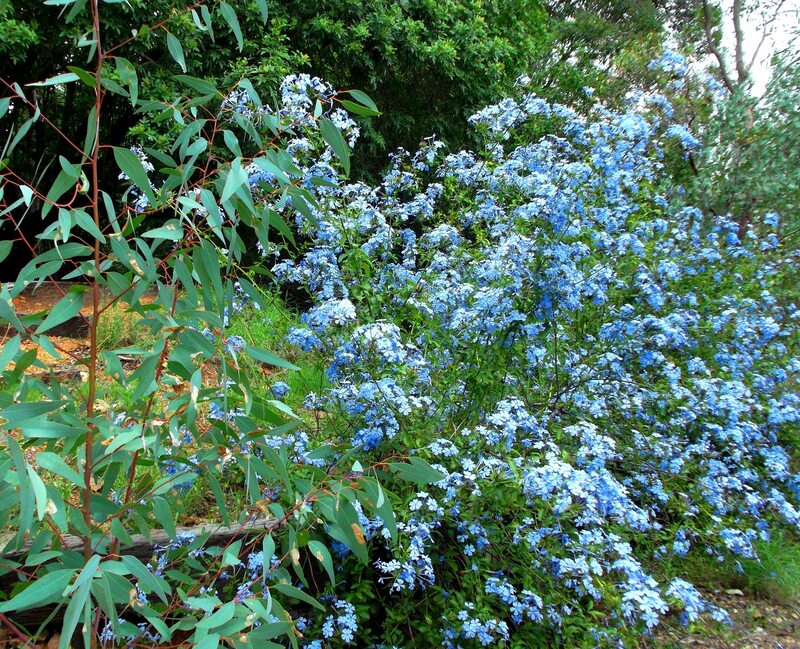 The day after seeing his deep blue flash in the house last week, down the hillside in front of the house a baby Wren flew over my shoulder, to land in hand’s reach, in a bluegum tree, next to a patch of blue plumbago. 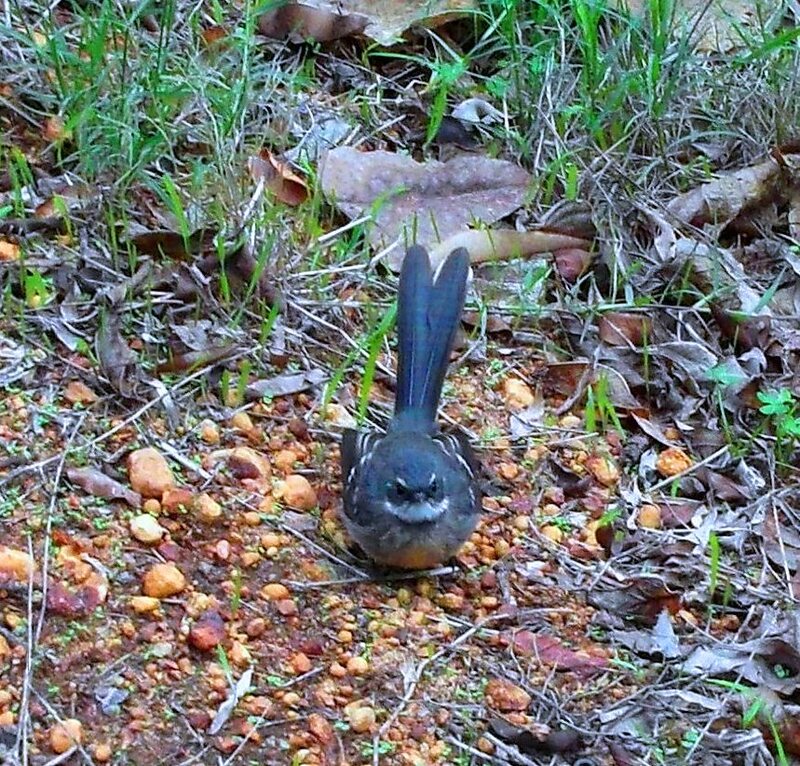 While I sat on a step, the baby bird landed, and danced all around. Baby Wren, with peachy golden chest, colour of the Sacred Heart Chakra (one of two new template heart chakras). 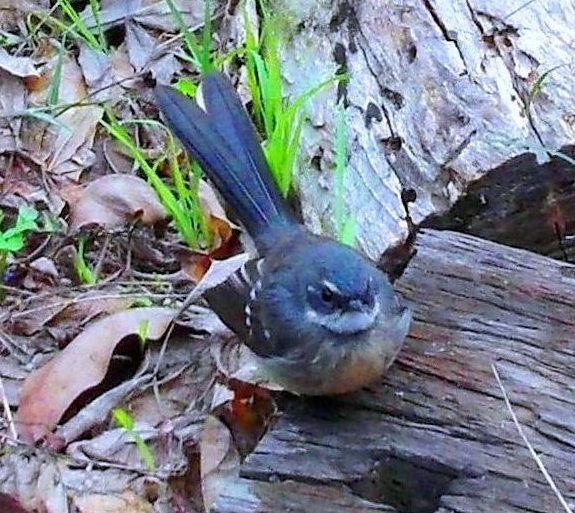 His mother then flew down beside my foot and gave me a quick ‘assessment’ (as my heart melted into a puddle, to see/feel these shy tiny birds so close). She returned several times over the next half hour, while her sweet baby played, and at times slept in a pile of leaves. 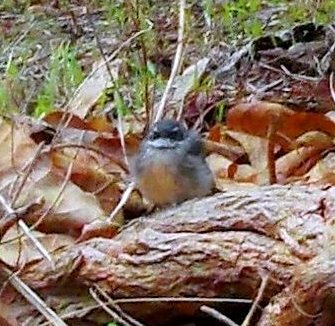 I felt it was his first time out of the nest. You can see in the photo below he still has a lot of baby fluff. The ‘blue’ energy continued every day the next week, with more ‘blue orb flashes’ in the house, and my quail Aquila (supposed to be a year past laying age) laid four eggs. The energy of ‘human angel rebirthing’ kept flowing steadily, multidimensionally, right into another very large wave of Ascension energies that snuck through quietly in the night, without the fanfare of eclipses or solstices, on April 23-24. This was followed straight away, dear friends, by something our star family and many on and in Earth have been waiting for: the Shift of the the ‘hub’ of Light energies of Gaia, from Tibet/Asia to Peru/South America. As the higher dimensional energy shifted, at the ‘head’ end of the Light’s push, a volcanic eruption in Chile, and as the ‘tail’ end shook loose, earthquakes have affected Nepal, felt as far as New Delhi. I know many of you will have sent prayers or meditations for the safe passage of the souls who left physical in Nepal, as we have. Please also keep your focus deep into the higher frequency core of Gaia as much as possible, and allow yourself to flow with her shift, and centre your heart with her new Divine Feminine hub, in the Lake Titicaca area of Peru. I’ll speak of this more in coming posts, from knowings of a pre-Incan life, up to and after the departure of star family from that place, for Venus. The energies closed afterwards, but now they are opening again, and our star family can at last return and walk the Earth with us, as One, which is what we Are. 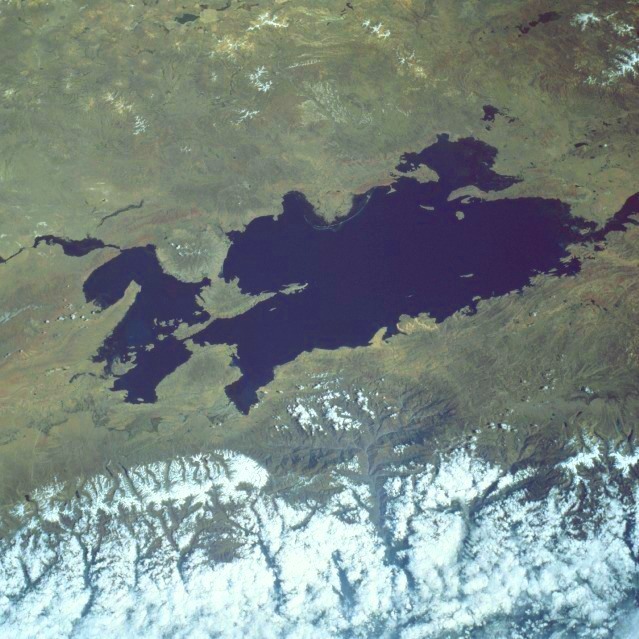 Lake Titicaca: the rabbit and the puma. Photo, Wikimedia Commons. 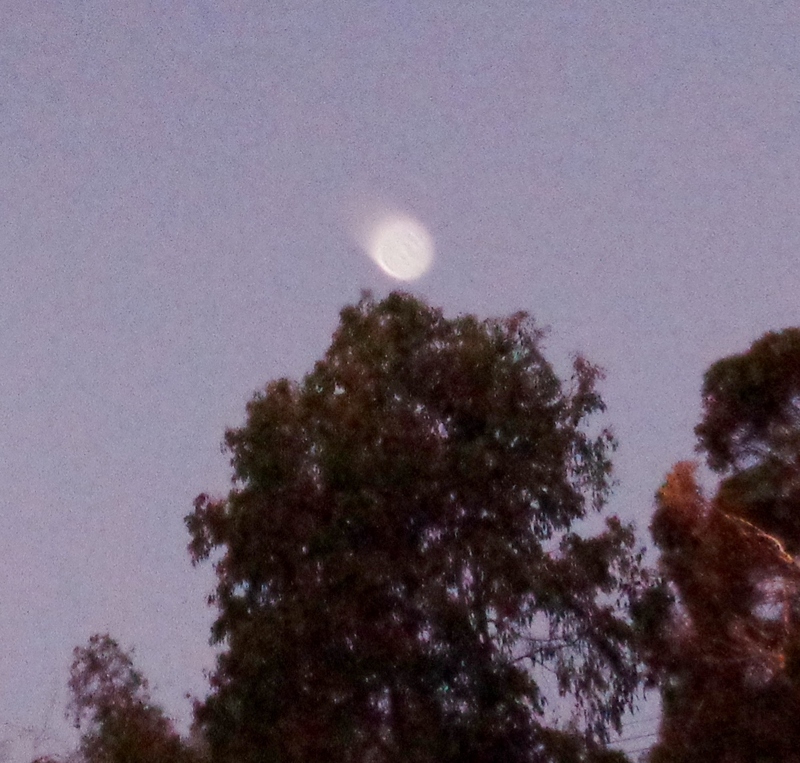 For now, I’ll share a few photos from two nights ago, when Venus was sitting in horizontal alignment with the Moon. 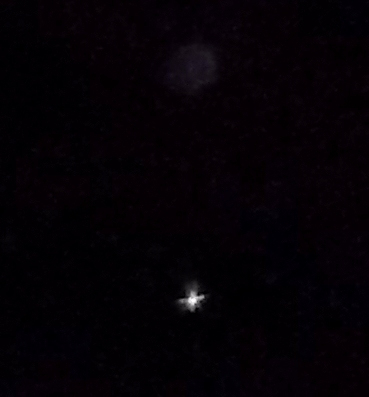 A ship appeared in the nightsky, above Venus, and flew through a gap in the trees, over the house. Although it was a bright white light, it was high up, and my camera only caught it dimly, but here are the photos, in which it appears as a tiny pinpoint of light. 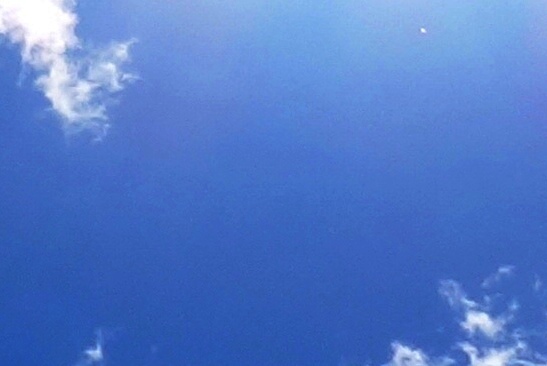 Ship flies overhead, April 26, 2015. 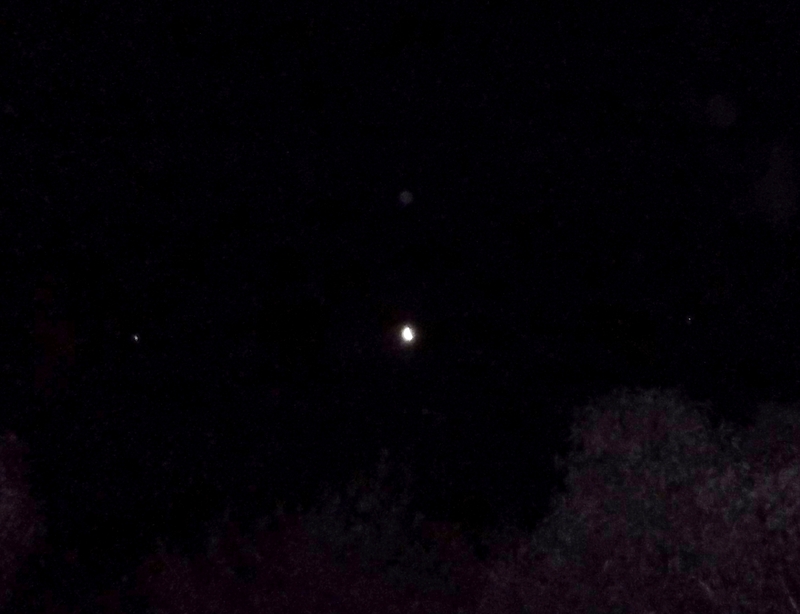 In this photo, Venus is at the bottom left of the frame, and the ship is high up as a speck of light, directly above it. 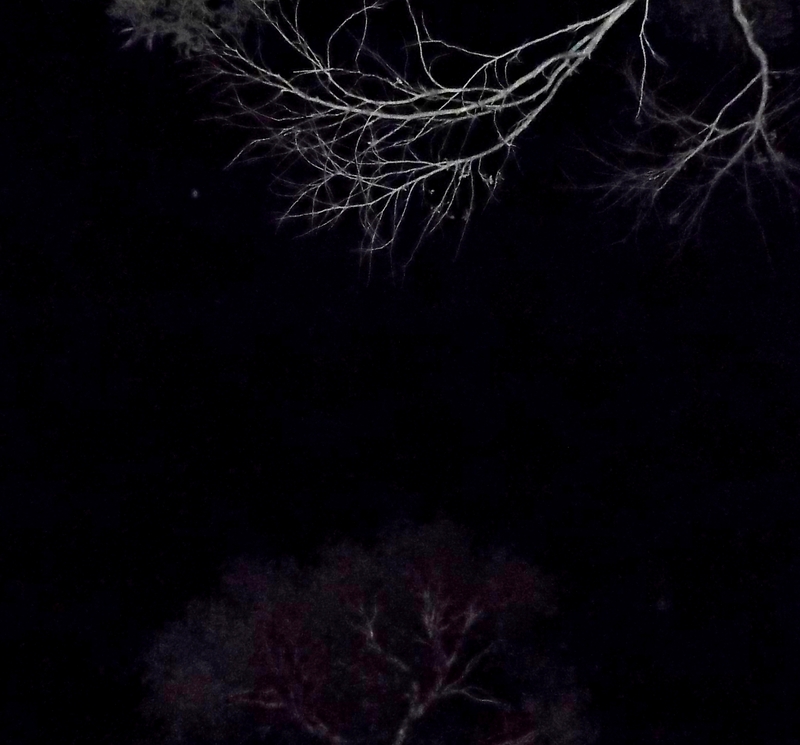 April 26, ship continues, following the narrow overhead ‘window’ between treetops. 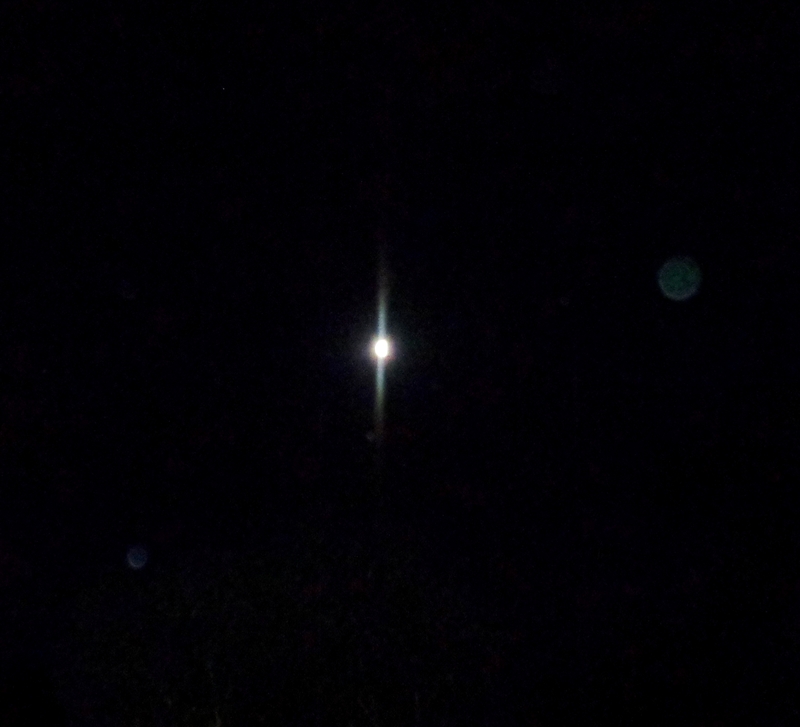 Green-blue Orb top of frame, Moon lower left, Venus lower centre-right above trees, with a ship just visible close above it. 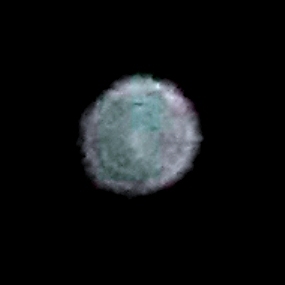 Orb close-up, with blue face. 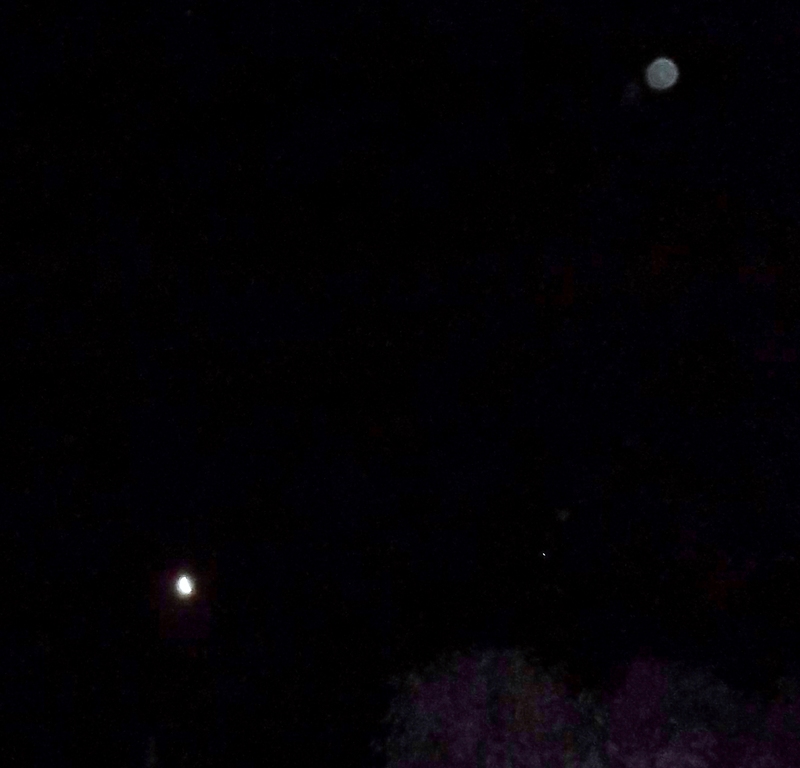 The orb then ‘triangulated’ with the Moon directly below it, Venus to the right, and another ship to the left….representing pyramid of light and mountain energies, shifting of high energy in the high places of the planet. Feel also the balance and stability of the equi-distant ship and Venus on either side of the Moon; and star family holding higher frequency equilibrium. 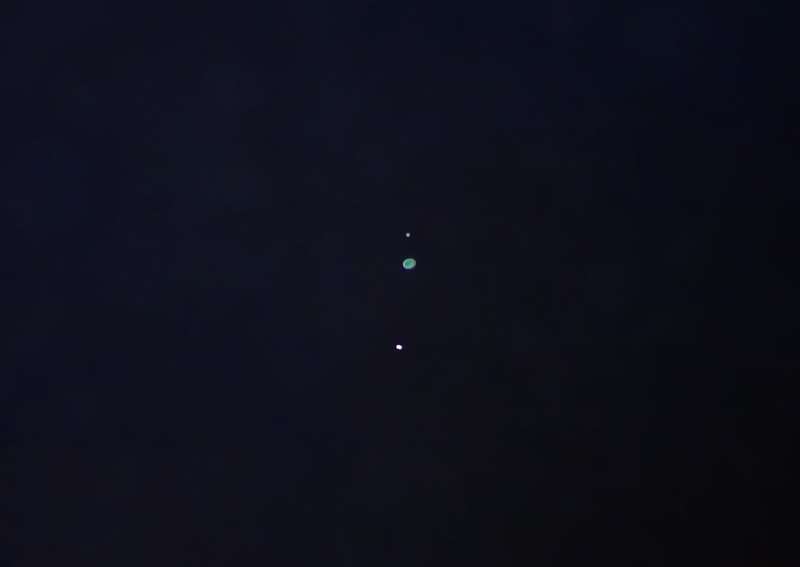 April 26, ship pulses white, left of Moon, Venus right, green-blue Orb above. On checking the positions of planets/stars the next day, the Moon is/was occulting the star Aldebaran (meaning the Moon was positioned directly in front of Aldebaran, from an Earth view). Aldebaran is the alpha star of Taurus, the Bull, and I have mentioned it in previous posts in connection with the constellation Centaurus (which means ‘new bull’), with Ashura, my Twin Flame and captain of the Shem Arua, and the Alpha Centaurians who are working closely with him at this time, people of the ‘new bull’ star system, of carian-human hybrid descent whose ships have appeared here with distinctive horseshoe rings of lights. 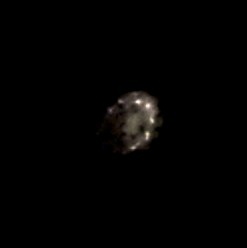 Alpha Centauri ship close-up, showing horseshoe ring of seven lights. J’errene’on’s face projected in its underside, October 2014. Their captain, J’errene’on, is humanoid, with a ‘feathery’ type hair. 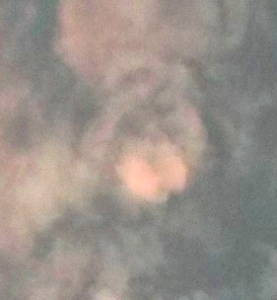 However, some of the crew ‘present’ in Orb form with birdlike faces and features. The Alpha C’s have a greenish coloured skin, the Aldebarans (or some of them) more bluish. You can read more about the Alpha C’s and Ashura/Arnap here (and in other posts catalogued under Alpha Centaurians). 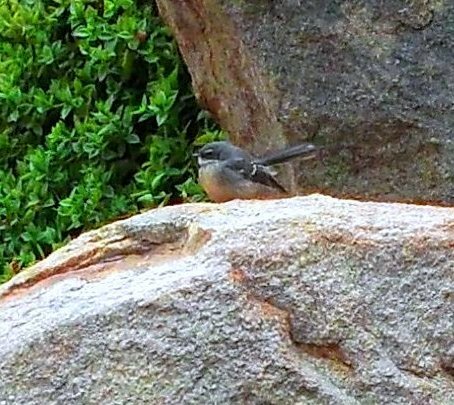 Bird being face, neck and shoulders (with white beak), inside ring of lights. 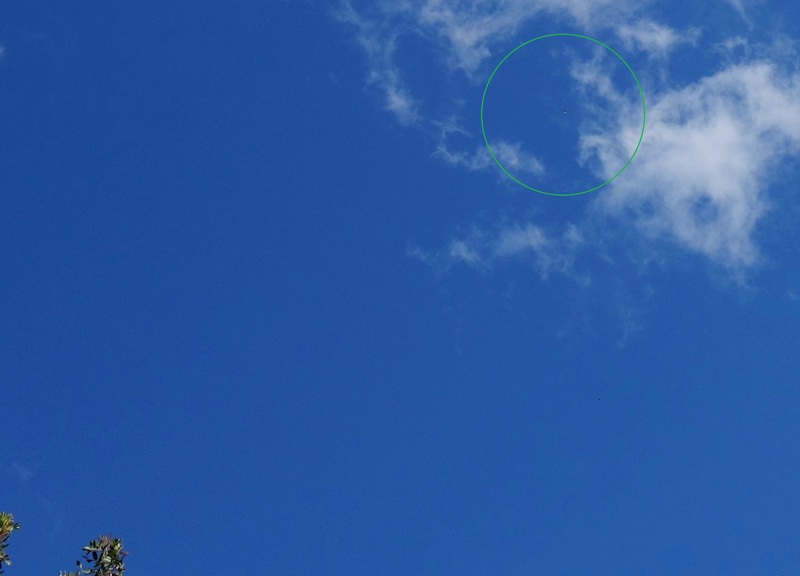 Green bird being, magpie-like face with beak pointing downward over angelic light ring, and two small ‘antennas’ on its head, February 2015. Three mornings ago, the divine feathers below were waiting outside, tail and flight feathers from the beautiful green-blue parrots we have here. The trinity energy is on Earth, return of the true heart-centered triangle energies of Sirian wisdom, here to anchor and stabilize the foundation of the new Age, triangle within the Circle of Oneness. 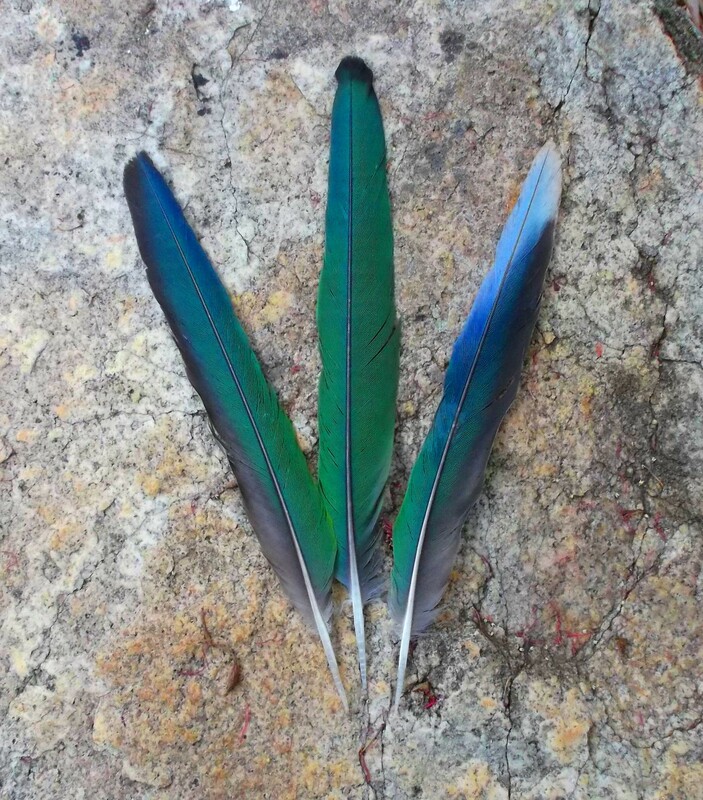 Gifts left on the ground from a Port Lincoln Parrot, most beautiful blue-green merged vibration. “Greetings from the People of the Butterfly. We wish you to feel the cushion you are upon. Within this Earth 3D crust All is bedded upon pillowing of crystalline light. 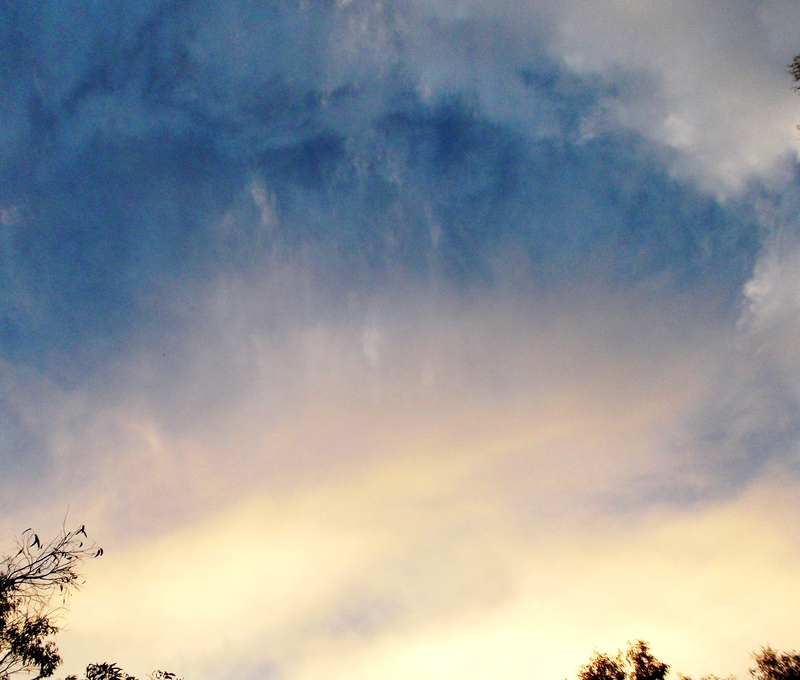 Earth stabilizes her tremors and shakes upon this light. When you ground with Mother, you too, All dear Souls of Earth, are stabilizing your shakes and tremors upon this cushion of soft moving light. Feel its presence beneath you and relax. Be in Trust, and no outer shake can move you from your centre of gravity, your axis aligned with Inner Mother. See the Light of Earth, through the density as it appears to you, let it rise through your Earth Star (chakra), through the soles of your feet, into your Earth centre. Allow it to rise. Immerse yourself in the soft cushioning light. Spread your wings upon it as we do, People of the Butterfly. Fly softly along the Heart Grid channels of New Earth, while anchored through your Earth Star to Mother’s Heart. Blessings to All on Earth, in and around Earth, deep love and gratitude to all who move with Source, with the Wave, bringing through the currents of light, grace and peace with beloved Gaia. 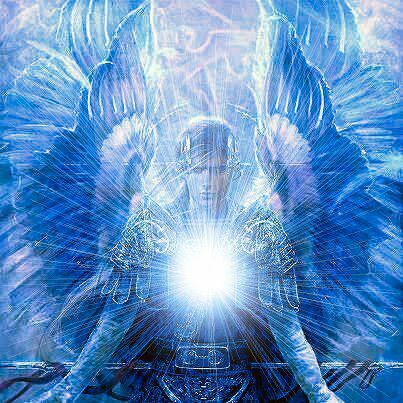 With special thanks now to Archangel Michael, ‘lord of bluebirds’, all our leonine, carian, angelic and other ascended friends and families guiding and supporting this Shift. 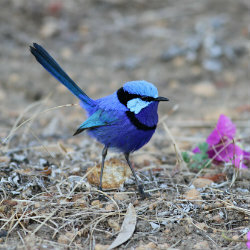 Splendid Fairy Blue Wren of Western Australia, mature male. Photographer unknown but appreciated. 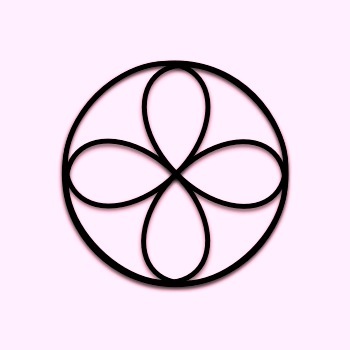 In the previous post I shared a few key exercises for heart-centering and protecting your torus/auric field. Today, here are two more practices, helpful for maintaining your integrity and clarity from disrupting energies, including any that are aimed specifically at you. Along with attention to heart-centering to maintain a high vibration, these techniques for keeping our ‘lines clear’ to the inner realms and maintaining our auric integrity can be a great help, in my experience. 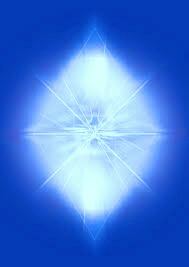 Both practices use the frequency of Blue: truth, clarity, discernment, strength and protection. The first practice was given by Ashtar early in our contact, for maintaining a clear ‘channel’ with him and other higher dimensional beings. It is to be used just before opening a communication. Sit (or stand) in a relaxed, straight position with your feet on the ground. Bring your focus to your Heart centre, and see a star of white light in it. 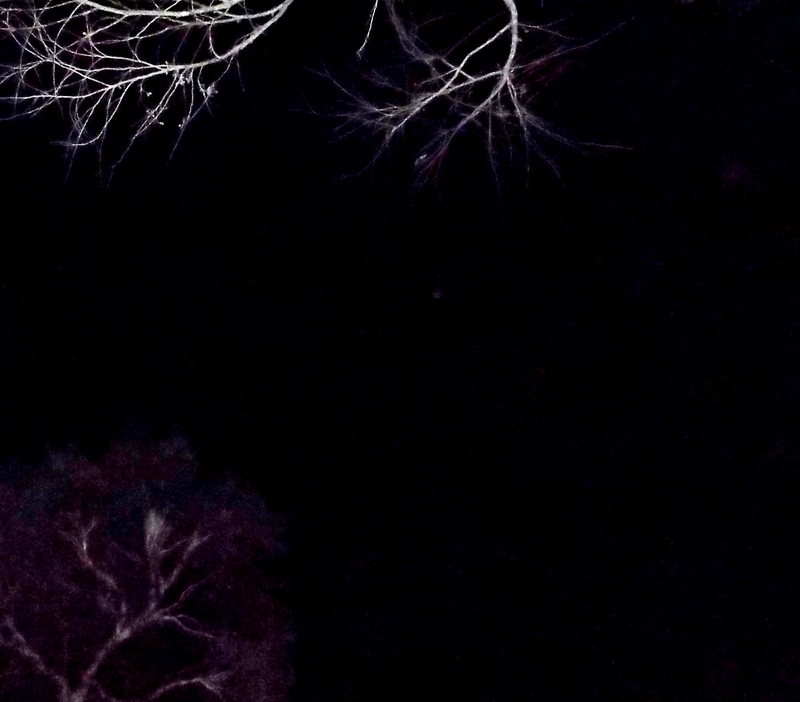 See a star of white light below your feet, and above your head. 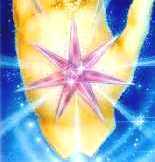 Hold the three stars (of the Earth Star Chakra, Heart Chakra, and Soul Star Chakra) steady bright white. Send Love from your heart down your central channel, through your earth Star, to Mother’s Core, at the centre of the Earth, and wait for her Love to return to you. Feel it rise and spread through you as a beautiful warmth. Then send your Love up from your Heart through your Soul Star to Father/Source, and wait for his Love to fill you and spread through you, merging with Mother’s Love. Open all your Chakras from base to crown, including the new Heart chakras (the Sacred Heart, behind the xyphoid process where the ribs meet, and the High Heart, midway between the heart centre and dip of your throat). 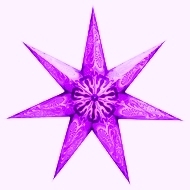 Now bring your focus to the Earth Star Chakra below your feet, and see it fill with deep blue light. Gradually bring the blue light upward in a column or sheath all the way around you. Imagine you are inside a transparent pillar, and filling it with water that is Light. As the Light rises, it becomes a lighter hue, so that at the level of the heart centrepoint it is royal blue, and keeps getting lighter. 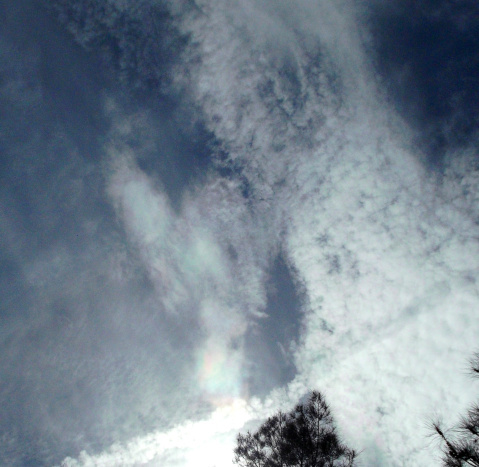 At the Pituitary Chakra, between your eyes, it is sky blue. 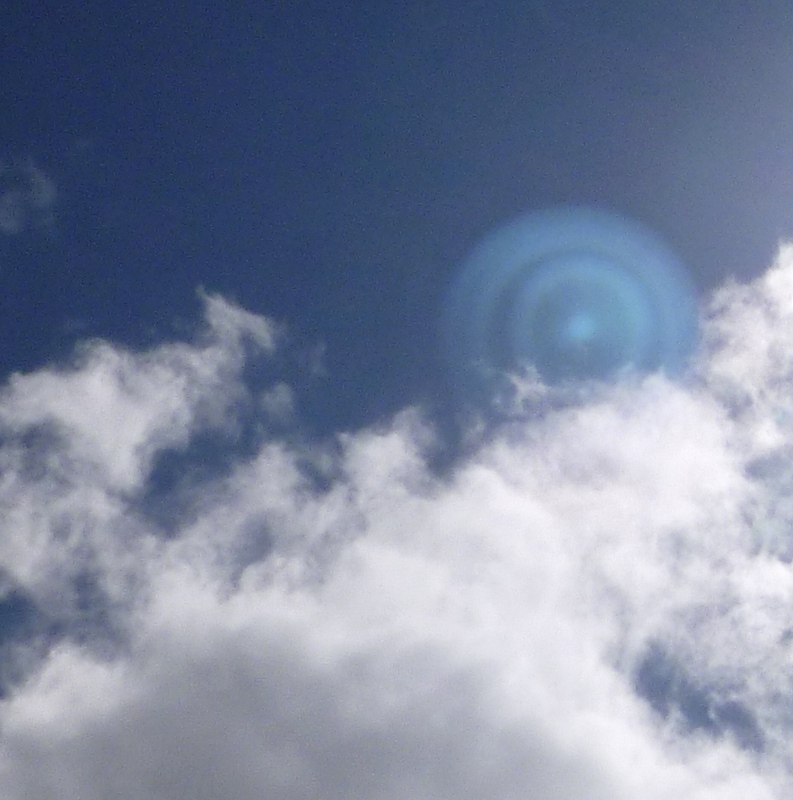 And by the time it reaches your Soul Star Chakra it is palest blue going into white Light. Relax within this column of blue light, and set your intent that it be maintained throughout the communication you are receiving. Just keeping it in the background of your awareness while in communication, once you have done this, will hold an ‘interference-free’ line….always with a Unity of Heart and Third Eye, anchored to Gaia. The second practice comes from Archangel Michael, and is an A-grade protection for your auric/etheric field amid ‘heavy’ energies, especially if they are focused at you. Stand, or visualize yourself standing. Bring your focus into your Heart centre, and breathe deeply, into a calm, settled state of being. See a diamond of translucent blue form around you, with its lower point directed to the Earth’s core, and its upper point to Source/Galactic centre. Now see a blue sword in your hands. Lift it up with both hands, with straight arms, above your head, so that the tip of the sword meets the inside upper tip of the blue diamond. Feel/see white Light pour down from Galactic centre through the tip of the diamond and through your sword, filling your entire being, and filling the diamond around you. 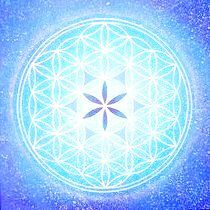 Breathe in the Light deeply and steadily, and attune to the strength and radiance of your crystal clear aura/etheric field, within the blue diamond. This can be repeated as often as necessary. 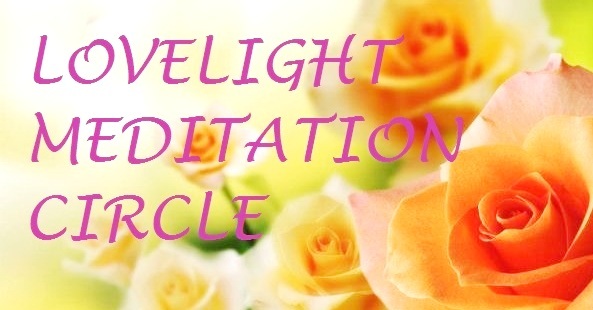 Dear friends, following the previous post about INception/Immaculate Conception, more understanding has come through about the process of ascension (raising of the vibration of our 3D physical/emotional/mental being) and descension (inflow and containing of Higher Self vibration in the 3D-4D vessel), and their fusion to create a 5D crystalline-based light physical expression. 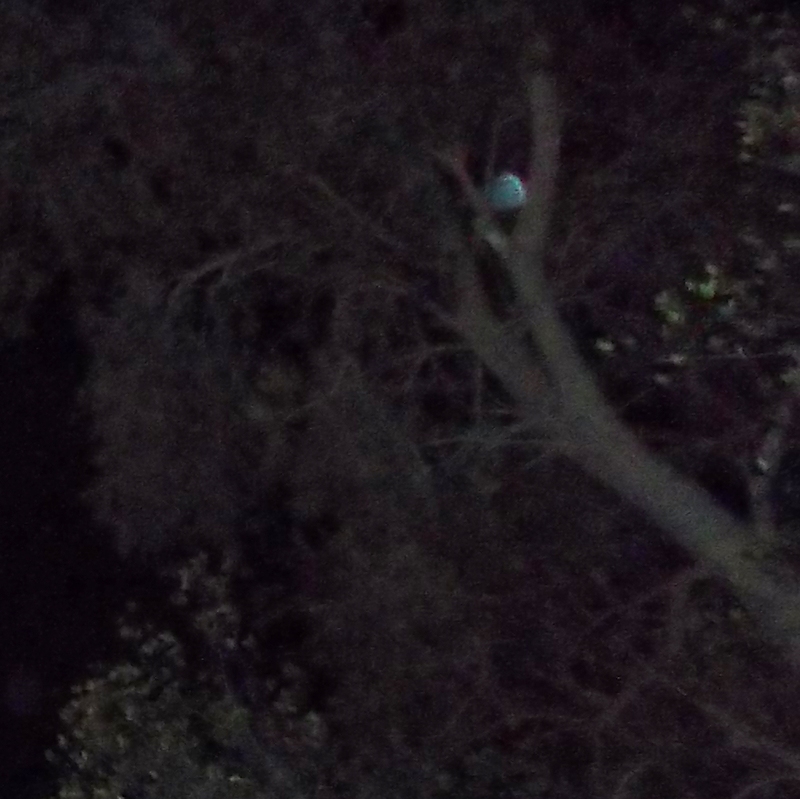 In the following week, Orbs clustered around the same tree (visible in photos of the previous post, with a Dove of white light flying to the tree and an Orb ‘nesting’ in it). 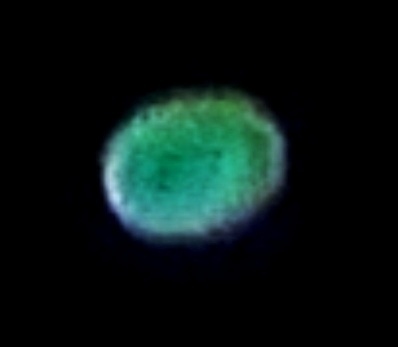 The nesting Orb continued to appear over several nights. Here it is on Jan 2, 2014. 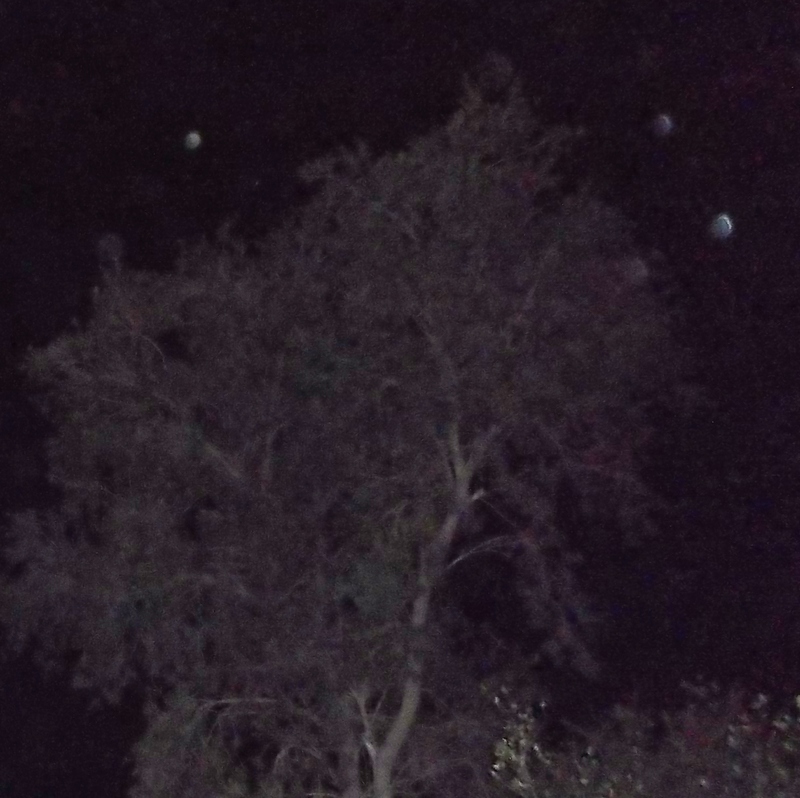 As the Orbs continued drawing my attention to the tree, its significance deepened with the appearance of a white light Eagle (this is one of the forms I see Ashtar’s Essence projecting through) over two nights, along with communications about the Tree of the Sephiroth and a particular ‘realm’ within it, which I’ll speak of below. Firstly, this ‘tree’ is really two trees twined together. The taller is a red bottlebrush, native to Western Australia, and the smaller is a pomegranate tree. When I attuned to this pair of trees, the energy of Twins, Twin Souls, pure union of sacred masculine and feminine energies, enveloped me. 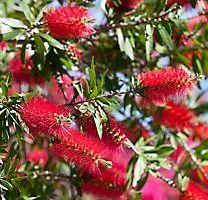 The bottlebrush has long feathery red flowers, and the pomegranate has red crown-like blooms that form into round red fruit, laden inside with red juice and seeds. You can see their masculine and feminine ‘plant signature’ in these photos, and how they compliment each other. Red is the colour vibration of the base or root chakra (at the base of spine/perineum), the foundation of physical embodiment. 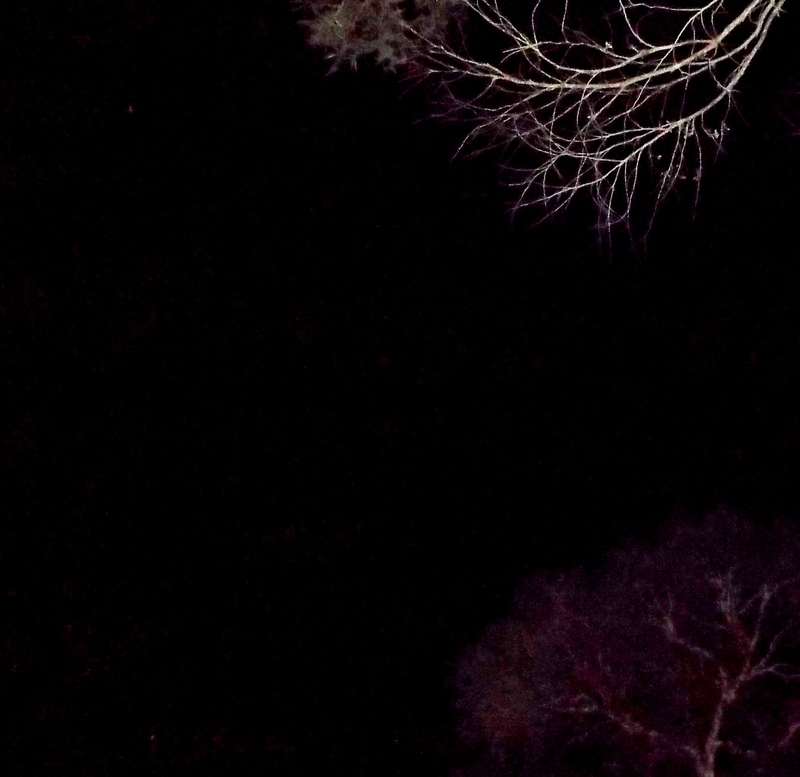 The message of these trees, their celebration, coming into this year, is the importance of anchoring our merged inner feminine/masculine energies very deeply, so they can transform the physical level with the high frequencies of INception. Source Light flows through the crown, fills our forms to the base, and roots deep with the Core of Mother Earth…then the higher frequency ‘realm’, both personal and collective, IS our reality. Another post could be devoted to the pomegranate and bottlebrush; for the moment, Know bottlebrush as a symbol/energy holder of masculine beauty, strength and resilience, a conduit of life-force from Source to Core, and pomegranate as the waters of life contained within the sacred (crowned) vessel, where the Core of the apple (pome) is seeded (granata) with divine life. Feel these Twinned energies merging within you, and your life force, your substance, vibrate in complete balance with divine female and male energies. Let’s incorporate this Knowing into the Tree of the Sephiroth. Malkuth, the red earth realm/ base chakra is at the bottom of the Tree, Kether the golden crown at the top. Notice on the central axis/ trunk, the Da’at/Daarth (often not depicted as ‘visible’ on the Tree) meeting and merging place of the sacred feminine and masculine, Binah and Chokmah (according to AA Michael, this is vibrating in ninth dimension). 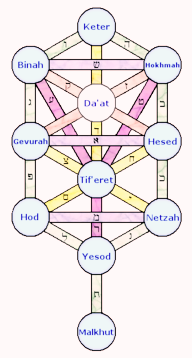 Indeed, six lines/rays of frequencies meet/cross over in the Da’at). 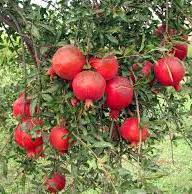 Pomegranate fruit bears a six-pointed star at its crown, above its water-encased seeds. As the sixth harmonic is seeded IN, INception completes itself. 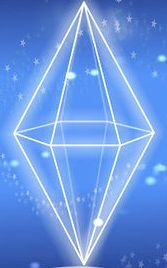 Feel into the presence of the Star Ship, New Jerusalem (Sananda’s ship), Metatron’s Cube, and the six-sided cube form as it opens out, allowing Heaven into the Box, through the union of Binah and Chokmah in the Da’at of your heart. Feel how the sacred geometries of the sixth harmonic can facilitate the shift to crystalline light substance in your being. (There’s an exercise from AA Metratron about using his Cube for descension of higher energies in the Practices section of Heart Star). With thanks to the beloved brother, wise guide, who flies as Dove – Eagle – Ibis – across our skies, and all star family and galactics here as part of a vast cooperative effort to wake the sleeping and raise our hearts to the most joyful of all reunions. This message from AA Michael through Celia Fenn feels synchronized. The ‘Spirit of the Forest’ lives in the true Tree of Spirit-into-form expressing and through each of us.